Deep under the shade of the redwood trees is a brilliant swathe of green. A field of tiny three-leaved plants carpet the forest floor. 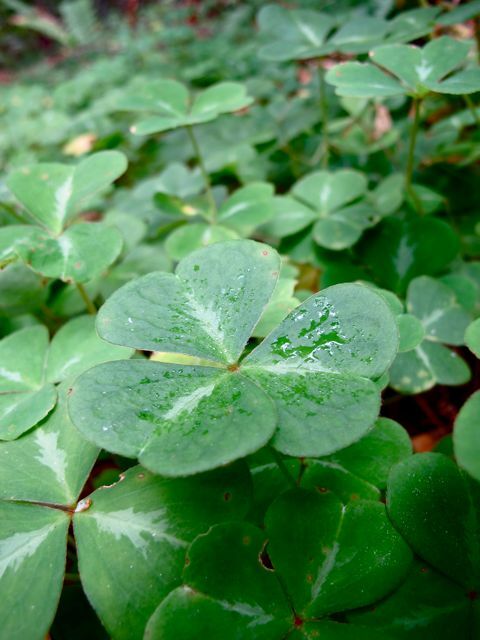 This is redwood sorrel, or Oxalis oregana. Each heart-shaped leaf has a pale splotch along its midrib, as though it had been folded around a dab of light green paint in a kindergarten art class. When I was a kid, this little plant was a favorite treat. It’s edible and easy to spot, so I would eat it all the time. The leaves have a fresh, lightly bitter flavor like a mild lemon. You can add them to salad or other foods, and since they love to grow in shade they are a nice addition to a garden that doesn’t get full sunlight. In late spring they sprout an attractive, pale-pink flower. 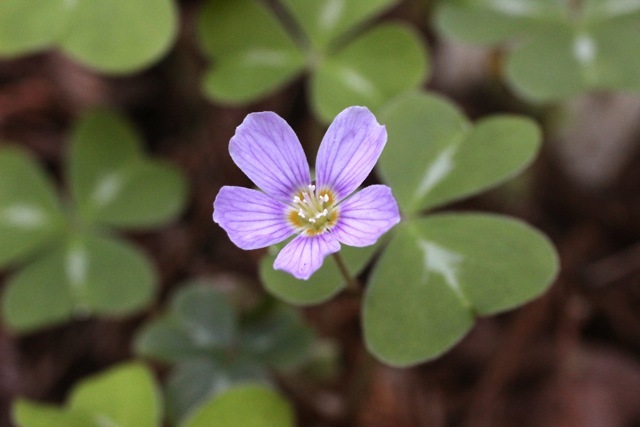 An interesting list of historical uses is described on the Native American Ethnobotany Database: chewed redwood sorrel roots were applied to sore eyes. It was given to anyone who didn’t feel like eating, and used as a wash to treat rheumatism. Poultices were applied to boils, sores and infections. Leaves were eaten raw, cooked with grease, or with dried fish. One source says the stems could also be used to make a rhubarb-like pie–but wow, that would need a LOT of stems.